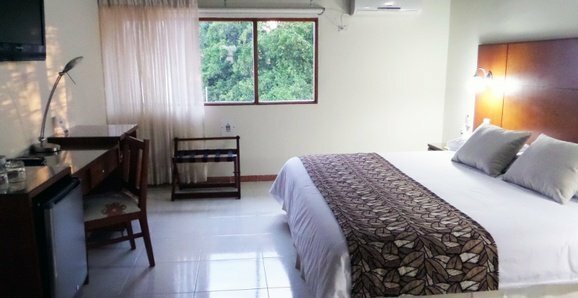 The rooms of Faranda Bolivar Cúcuta Hotel offer all the necessary services for a comfortable and pleasant stay: desk, living room, LCD TV, digital telephone, wifi, air conditioning... 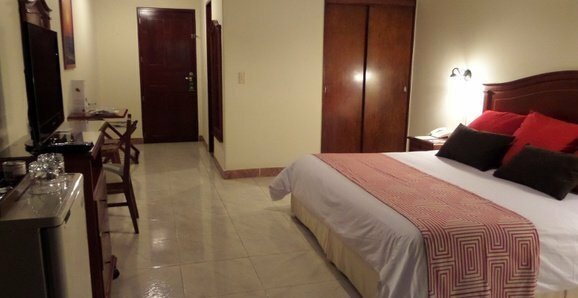 Places full of stillness and charm surrounded by swimming pools and a lovely tropical garden, allowing you to enjoy from early morning the brightness of nature... Everything one step away from Centro Comercial Bolívar. The Hotel Faranda Bolívar Cúcuta standard rooms are designed to guarantee maximum comfort during your getaway as a couple. 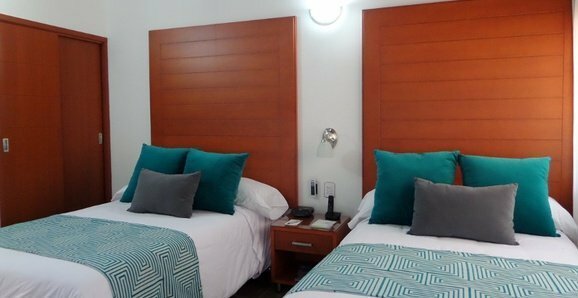 They are equipped with a king size bed, or two twin beds, free Wi-Fi, safe, television, mini bar and private bathroom with amenities. 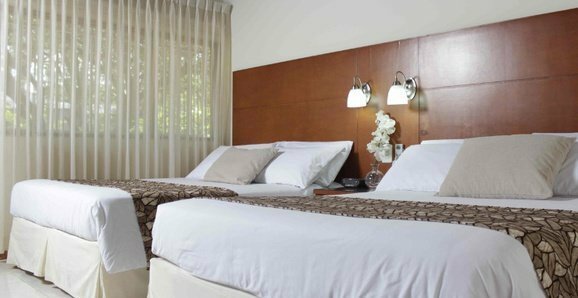 The Hotel Faranda Bolívar Cúcuta’s executive rooms are renovated spaces perfect for resting during your business trips. 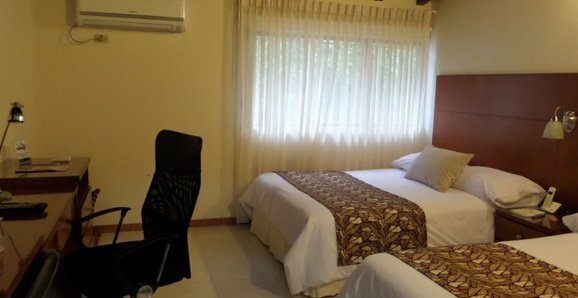 They are equipped with two double beds, a desk area, work lamp, telephone, free Wi-Fi, safe, television and private bathroom with amenities. 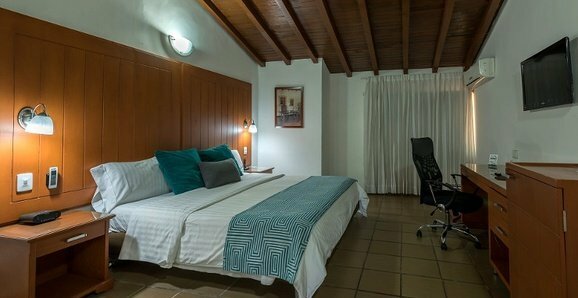 The Premium Suites at Hotel Faranda Bolívar Cúcuta are magical places. Located in amongst nature, these places to stay are cozy cabins perfectly full of charm. They have a king size bed, living room, desk, free Wi-Fi, safe and private bathroom with amenities. 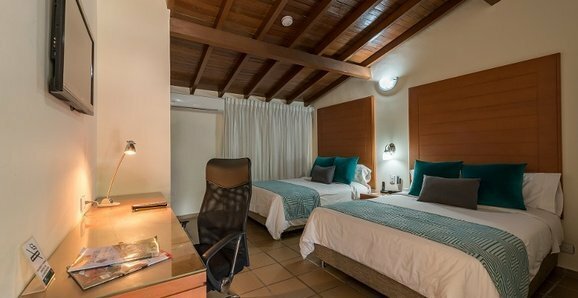 The Junior Suites at the Hotel Faranda Bolívar Cúcuta are ideal rooms for families who want to relax together during their holidays. 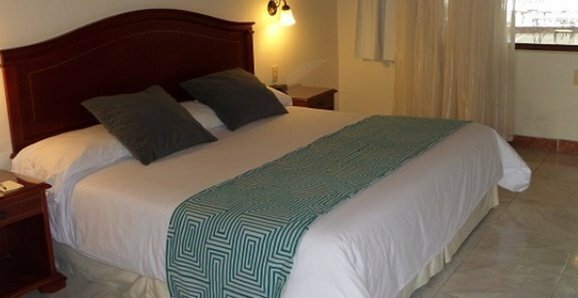 They are equipped with a king size bed, or two twin beds, living room, free Wi-Fi, safe, television and private bathroom with amenities.